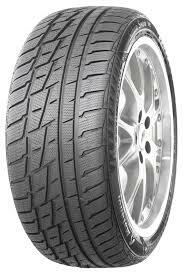 When you need a winter tyre for your 4x4, the MP92 is a great choice. For excellent performance and stability in wet, dry, snowy and icy conditions, there’s no better tyre and Matador are known for producing reliable and durable options that suit any journey you want to take. This improved confidence allows you to enjoy your journey and be safer on the road in tricky conditions. Winter tyres like the MP92 are growing in popularity all the time as they allow drivers to get better use out of their summer and winter options. For excellent performance and stability in wet, dry, snowy and icy conditions, there’s no better tyre and Matador are known for producing reliable and durable options that suit any journey you want to take.This improved confidence allows you to enjoy your journey and be safer on the road in tricky conditions. Winter tyres like the MP92 are growing in popularity all the time as they allow drivers to get better use out of their summer and winter options.